MRKT 3240 Marketing Informational Management is a third year marketing class that has given me insight in how markers can use a measuring system to quantify a trend, dynamic or characteristics. So what is marketing metrics? Let me tell you from my understanding and from what I have learned from this course, marketing metrics can provide markers to address the potential issues quantitatively while effectively applying marketing strategy. Metrics can measure the new opportunities and interpret data to make rational decisions and recommendations. Before taking this course, analyzing data and financial information is my major weakness, which is the area I am not confident at all. But during four months studying, I have tried to overcome my fear by analyzing different case studies and practicing modules. Marketing metrics includes a wide variety of quantitative tools, allowing marketing students to use data and numbers to prove our strategies. This is a course which can prepare me well for the real business world in the future and teach me the importance of accurate outcomes. Although the process of analyzing data is boring, I have learned a lot of different metrics skills and tools. I would like to show you what I learned in this course. 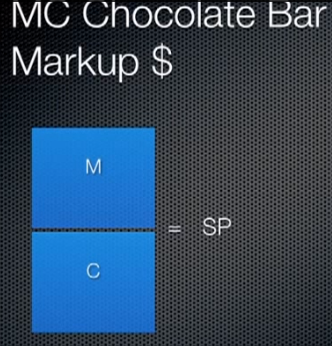 MC chocolate bar: This is the most impressive and useful for me in this entire semester. It is a visual tool to explain the relationship between selling price and margin or markup, and provide solutions in calculating markup in percentage, markup in dollars and margin. Sales Force Management: It provides me guidelines in how to balance the workload for sales team and how to develop compact territories. Workload, sale force effectiveness ratios, compensation has been taught in the metrics class. Web metrics: impression, CPC, reach, gross rating points are the main metrics to analyze how effective the advertising campaign is. Google Analytics: A tool allows me to track the website traffic data and understand the consumer behaviors and evaluate the online marketing activities. Pricing strategy: price elasticity, maximum willing to buy, maximum willing to pay and demand curve can be applied in analyzing the effectiveness of pricing strategies and the different prices in different distribution channels. 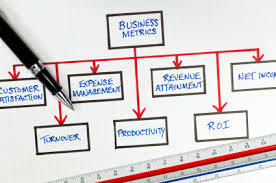 Promotion Metrics: it involves in using baseline sales, incremental sales, ROMI and lift percentage to evaluate the effectiveness of promotion strategies. However, this is not a course only focusing on quantitative data; it also provides me insights in how to use the data to draw qualitative recommendations and how I can apply my critical thinking in different case studies. In addition, I gained a great opportunity to work for a local small business with my team. We provide a metric plan to address their critical issues by analyzing their current market situation and applying variable metrics tools to measure the success. This class provides me a great lesson in handling different real business situations and prepares me well for future challenges. This entry was posted in MRKT 3240 and tagged data analyze, Marketing Information Management, Metrics, MRKT 3240. Bookmark the permalink. ← What is Lead Generation and How is it used?